Go to Opencart web site home page, you can see seller login link is show on header . Click on the seller login link . After clicking on seller login link, User reaches Seller login page. On this page, seller registration link is present, click on New Seller link. 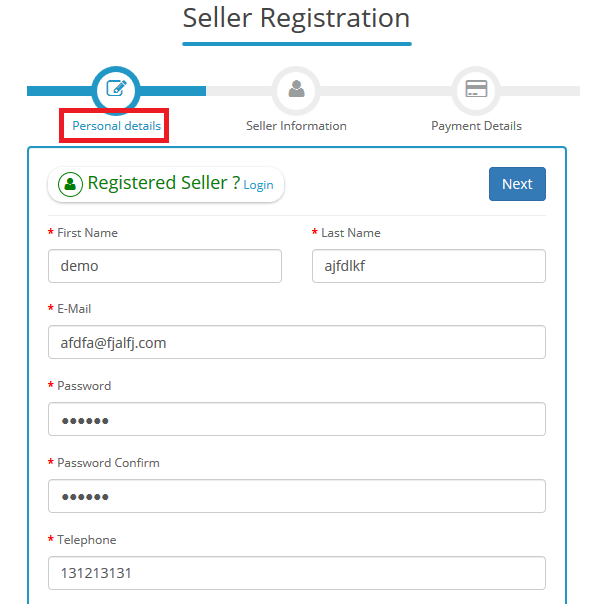 After clicking “New Seller ” link , User reaches othe n new seller registration page, here user fills all required details like personal Details, Seller Information and Payment Details. In personal details, the user fill first name, last name, E-mail, Password and Telephone. All fileds are required in this form. In Seller Information, the user fills Store name, Store E-mail, Store phone, Store Address, Store Country, Store shipping and return policy, Store SEO URL and Social links. User can upload store logo and store banner also. Only Store Name is required in here. In Payment Details user fills store bank details, Store TIN and PayPal Button Id for Store payment. If admin approval is required for seller registration then user has to wait for approval from admin, and if admin approval is not required then user registers as a seller successfully and can start using seller functions. Go to Opencart web site home page, click on My Account and select Register. 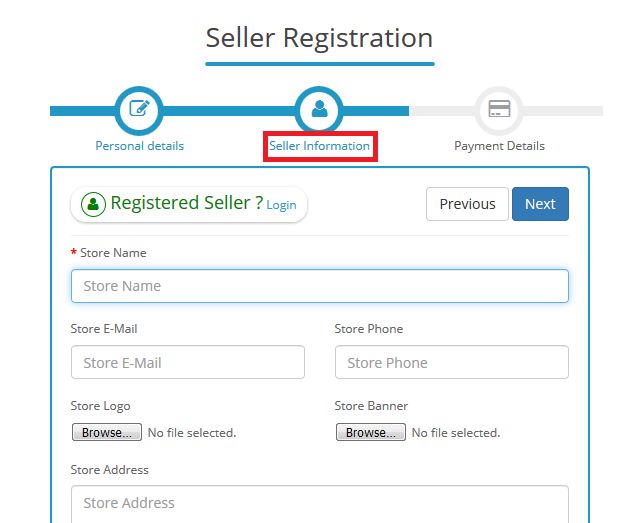 On register page fill all the personal information, after that select to “Yes” to become a seller, thereafter you will reach to seller register page. Enter the store information such as store name, email address etc. Here fill all the required fields. 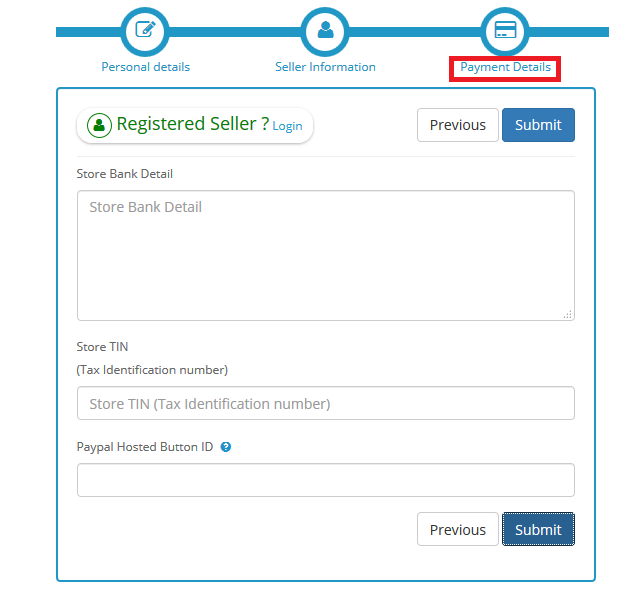 If admin approval is required for seller registration then user has to wait, and if admin approval is not required then user registers as a seller successfully. If user is already customer and user want to register as a seller, then customer logins to his account and reached on account page. On account page Become a seller link shows. Click on Become a seller link, and user will reach seller register page. Enter the store information such as store name, email address etc. Admin can create seller by using customer registration process from admin side. Login to admin panel , go to navigation menu and click on customers option and select customers . After that click on Add button . 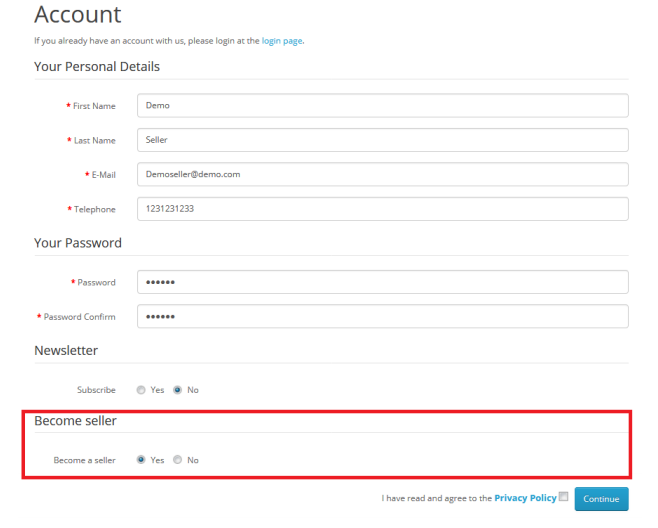 Fill the all the personal information, after that select to “Yes” to become a seller and fill Seller store name and click on save button then seller is create successfully . So, a seller can be registered in all these possible manners.